Think You Have What it Takes to Be A FlyBoard® Instructor? Join Our Crew of Motivated FlyBoard® Professionals! Become a Certified FlyBoard® Instructor at Nashville FlyBoard! 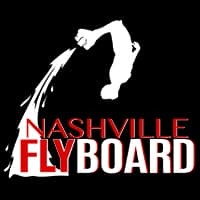 Nashville FlyBoard is seeking responsible, safety conscious crew members for a seasonal position with potential for growth. Top Candidates to be considered will have a strong Water Sports background (any type), Boater’s / PWC License, very safety conscious, have the ability to keep cool under pressure, previous teaching / instructing / coaching experience (not required, but helpful), good problem solving skills, excellent communication skills, with a positive, enthusiastic attitude, must be CPR / First Aid Certified. Our crew members will be trained to learn both sides of FlyBoarding, Instructing and riding, and will be taught to perform FlyBoard tricks for demos, special events, etc. Candidates will be required to pass multiple tests, including out on the lake, prior to hire & training. This is an excellent opportunity for motivated individuals with a passion for Flyboarding, and water sports! At Nashville FlyBoard, our goal is to teach FlyBoard & HydroFlight sessions in a relaxed, fun, & friendly environment, while following a strict safety protocol. Our teams travel, and provide services to all lakes throughout the mid-TN region. We do our best to accommodate all the needs of our guests, with customer safety and satisfaction our top priorities. We are primarily seeking a Certified HydroFlight Instructor for the Zapata Racing FlyBoard®, Hoverboard, and JetPack by ZR®. Instructors are responsible for controlling the PWC and the flow of water to the ZR HydroFlight device, providing safe, friendly, and thorough instruction to our Guests. We will also teach our Instructors FlyBoard® tricks to perform for demos, events, etc. Will train qualified candidates. • Have PWC / Watercraft Experience. Potential candidates must have the ability operate a PWC, or other watercraft, at an intermediate level, understand general marine mechanics, and be able to preform basic maintenance on Yamaha Waverunners. Must be an excellent swimmer, be able to lift and carry 75 – 100 pounds, willing to learn and practice FlyBoard, Hoverboard, & JetPack tricks (We will teach you). Nashville FlyBoard is offering a unique & exciting opportunity for 2016 / 2017 seasonal employment. Our season runs May through October. Our top candidates will possess a safety conscious attitude, general mechanical / boating skills, have experience on the water, be able to pass a background check and drug screening, and have excellent communication skills. To apply for this rare and exciting opportunity, email your resume to info@nashvilleflyboard.com with subject: “FlyBoard Instructor”. Fill out the contact form below with a short paragraph about why you would make an excellent addition to our crew. Why Would You Be A Good Addition to Our Crew?